Are you interested in brewing beer but haven't because the process is too complicated? "Which type of beer should I start with? What equipment should I buy? How do I avoid messing up?" These questions have paralyzed many an aspiring beer brewer, and for good reason. Most instructional books make beer brewing impossible for a newbie, describing a complicated art that requires years of practice and 24/7 access to regionally grown hops. They're comprehensive, but not very useful to those of us just starting out. 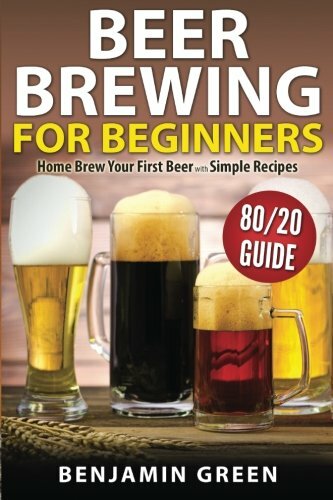 Beer Brewing for Beginners breaks down those barriers, by providing you with a simple, easy to follow walkthrough for completing your first beer. You'll learn the "80/20 of Beer Brewing" - the most important steps written in a way designed to help you succeed. Buy now and get your FREE Quickstart Equipment Guide. You'll be guided through the process of brewing an American Pale Ale, becoming comfortable with the techniques and equipment as you craft your first delicious brew. Afterward, you'll have the skills to tackle the Brown Ale and Amber Ale recipes. If you've ever thought about brewing beer, there's no need to think about this - click the "Buy Now" button to get started!